WATCH: Double-double performance of Andray Blatche vs. Japan | #FIBAAsia2015 - Balita Boss! Andray Blatche played through an ankle injury to contribute 18 points and 10 rebounds and help the Philippines beat Japan! - Philippines v Japan - Day 4 of the 2015 FIBA Asia Championship (27 September 2015). 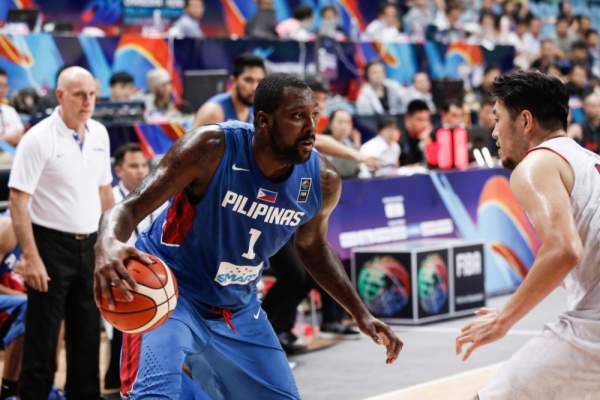 Despite sustaining an ankle sprain, Andray Blatche still manage to register a double-double performance, as the Team Philippines won their third straight, beating Japan 73-66, in the second round of the 2015 FIBA Asia Championship. Blatche, played through an ankle injury, scored 18 points and grabbed 10 rebounds.